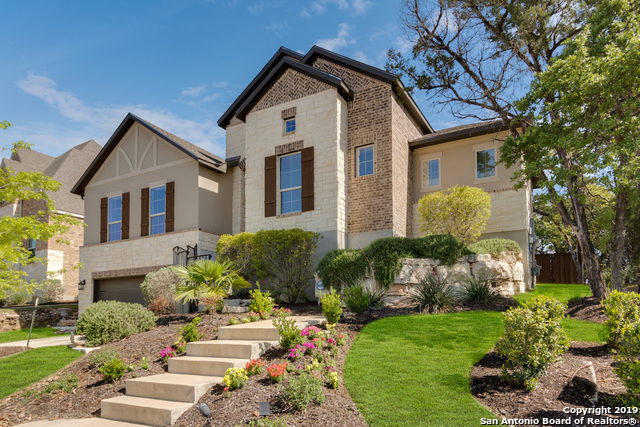 All CIBOLO CANYONS/MONTEVERDE homes currently listed for sale in San Antonio as of 04/24/2019 are shown below. You can change the search criteria at any time by pressing the 'Change Search' button below. 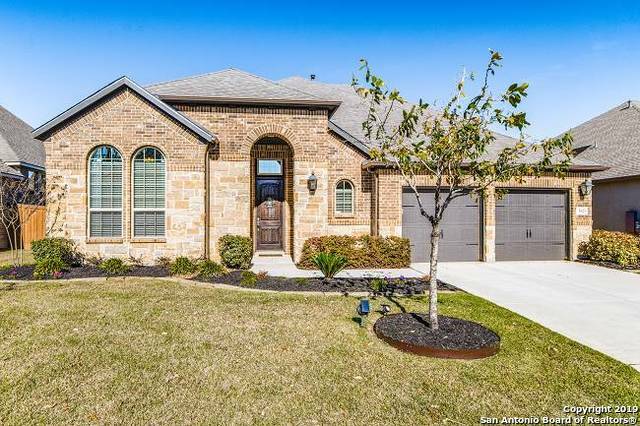 "Beautiful home on greenbelt lot. Upgraded tile floors down. Living w/ accent wall & fireplace opens to island kitchen w/silestone counters, gas cooktop & double oven. Many windows for natural light. Study w/built-in shelving. Media rm w/surround sound. Master down w/ bay window seating area & bath w/ free standing tub & closet w/ organizer unit. 3 secondary bdrms & 2 full baths down. Game rm w/ dry bar, bdrm & full bath up. Covered patio looks out to private backyard & firepit. Three car tandem "
"Unique 4Br/4Ba single story floorplan includes 2nd. Gameroom style living area w/wet bar. Chef's Kitchen w/gas 6-burner range, dbl ovens, granite & butlers pantry leading to Formal Dining. Beamed ceiling Living area w/gas fireplace overlooks the serene backyard on greenbelt. 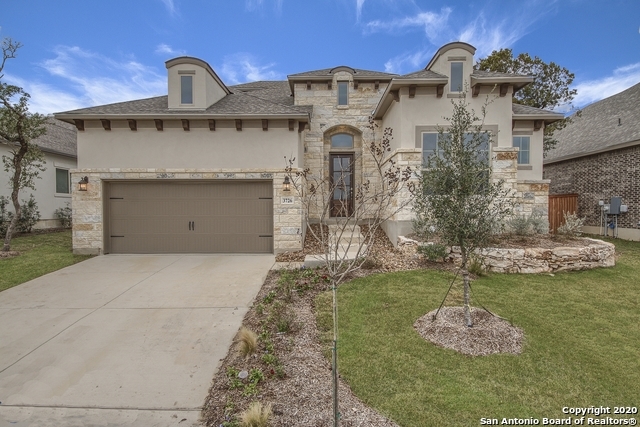 Luxurious Master Suite w/garden tub, sep shower, and huge walk-in closet. 3 additional generous sized bedrooms w/walk-in closets. Upgrades throughout!! Energy Star Cert - Tankless water heater - Ring system - HOA fully"
"The Sedona floorplan with open living and 3 bedrooms, with 10 ft ceilings. Grand kitchen option features KitchenAid 48 6 burner with electric griddle and convection ovens. Bowed bay window at master bedroom. Optional wet bar included in butler's pantry. Silgranit sink in kitchen. Oil rubbed bronze throughout house. Wood flooring in master, entry, mudroom, hallways, bedrooms, kitchen, dining, and family room. Granite countertops in kitchen and all baths. Custom tile backsplash in kitchen." "Stunning home in a resort style community. Pass thru the courtyard entrance featuring a separate casita to the main area with 3 bedrooms plus a study and 2.5 baths. Upgrades galore - wood tile flooring throughout, Stone accent walls, and full stone fireplace, granite counters. Updgraded appliance package, with gas cooktop. Bar with fridge, worktop desk adjacent to kitchen, organization bench area from garage entrance. Huge covered patio with outside kitchen - plus a 3 car tandem garage! Must "
"Madrid floor plan with 3 bedrooms, 3 baths, 2 story home with 2.5 car garage. Open floorplan with study. Master bath features a walk in shower, free standing tub, and dual vanities. Hardwood flooring throughout living areas. Gourmet kitchen features a stainless steel KitchenAid 6 burner gas cooktop with griddle and double convection ovens. JKraft custom cabinets and granite countertops throughout. Gameroom, wet bar, bedroom 3 and full bath upstairs. Custom tile work, designer color palette, cov"
"Why build? 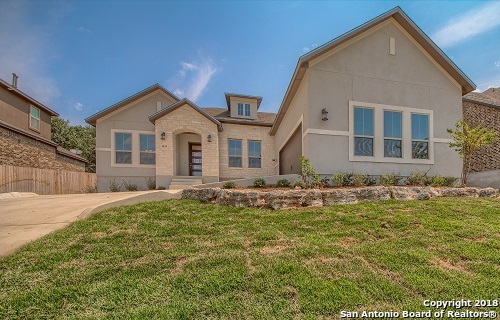 This beautiful stone and stucco one-story home is move-in ready today. Significant high-end features. Gallery entrance. Open concept floorplan, big window views to private, wooded greenbelt. 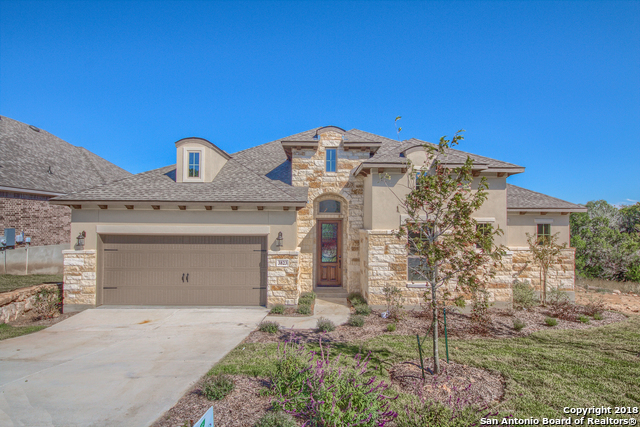 Gorgeous kitchen w/premier upgrades: 5-burner gas range, granite, gathering island, planning desk. Dual masters w/luxurious ensuite baths. Dedicated office, could be 4th bedroom. MediaRm w/sliding barn doors. Plantation shutters. Covered patio. This shoud be the model home! HOA includes landscape "
"Las Palmas floorplan with 3 bdrm, one story with 3 car garage, open floorplan with study. Mstr Bth features walk in shower, free standing tub, dual vanities and walk in closet. Energy Star home with foam insulation through entire envelope of home, tank less water heater, 16 SEER HVAC,, hardwood flooring throughout living areas. Gourmet kitchen features a stainless steel Kitchen Aid 6 Burner gas cooktop with griddle and double convection ovens. JKraft custom cabinets and granite countertops. 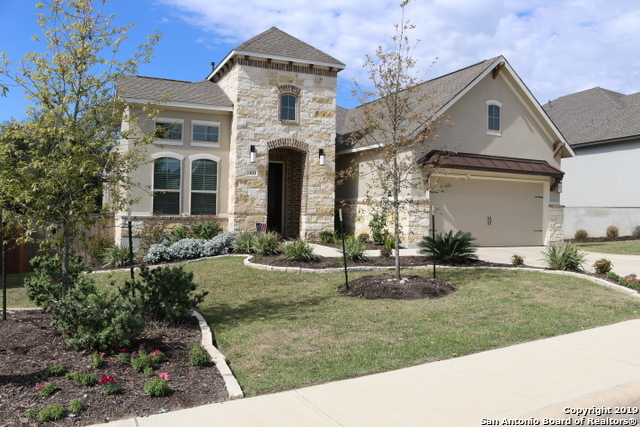 Ba"
"The Santa Rosa plan feature 3 bedrooms, 2 baths, and 2 car garage. Lots of upgraded features included granite countertops throughout, designer tile floors throughout home, private master retreat with walk in closet, walk in shower, and dual vanities. 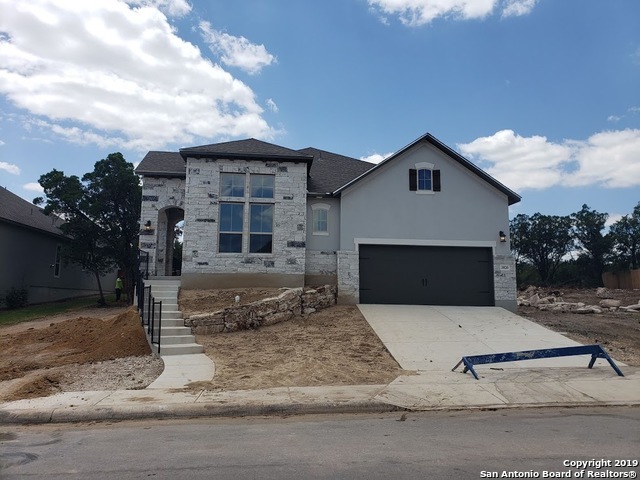 Open cell spray foam insulation, semi conditioned attic space, 16 SEER HVAC, tank less water heater, drought tolerant landscaping, low VOC paints, and much more make this home one of the most energy efficient homes in San Antonio. 100 % Energy St"
"PRICE REDUCTION! This gorgeous one-story is the MOST AFFORDABLE home in the prestigious Monteverde subdivision!! It boasts 2329 SF of pure quality and luxury, including a gourmet kitchen with stunning granite countertops, a private courtyard off the guest bedroom, a HUGE rear patio overlooking a full quarter acre lot w/ sprinkler system, mature trees, and a greenbelt! High ceilings, a glamorous master bath and beautiful wood floors are just some of the impressive features that round out this fan"